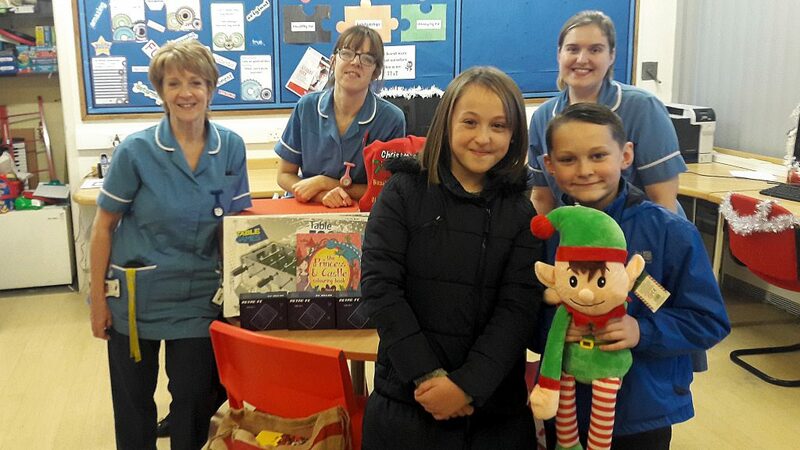 Evie Webster, and brother Riley, raised £500 to buy toys for children at Hull Royal Infirmary. A young girl has donated hundreds of pounds of toys to help sick children after having 10 inches of hair cut off for young people with cancer. Evie Webster, nine, raised more than £500 after she was sponsored by family and friends to have her waist-length hair cut short for the Princess Trust. She and brother Riley, seven, then used the sponsorship money to buy toys, toiletries and arts and crafts materials for the children’s wards at Hull Royal Infirmary. Anne Dalby, sister on Ward 130, the Paediatric High Dependency Unit and Paediatric Assessment Unit, said: “We are so grateful to Evie for all she has done for us. “Getting her hair cut to help children with cancer was such a selfless act itself but to go on and raise money for the children we help takes her kindness to another level. Evie was deeply affected when family friend Megan Pratt lost her hair before dying of cancer at the age of just 13. Megan touched the hearts of people in the city and was supported by Hull City fans and players before her death in October 2016. As the second anniversary of Megan’s death approached, Evie told mum Amy and dad James she wanted to donate her hair to help children with cancer and they contacted the Princess Trust. Evie, who attends Priory Primary, then had around 10 inches cut from her hair at Pure salon in Cottingham, enough to make around three wigs for children. Amy asked family and friends on Facebook to support Evie and ended up raising more than £500, including a donation of more than £140 from Evie’s grandfather’s darts team. Amy said: “I thought we’d raise about £30 and I couldn’t believe it when people started sponsoring Evie. I was nearly in tears every night. “It was already very emotional for us because Evie was doing this for Megan and she’s not here anymore. Evie’s brother Riley was diagnosed with hemiplegic migraine, a rare type of migraine which causes temporary paralysis, after collapsing at school last year and comes to Hull Royal for treatment when he experiences an episode. The children also bought handheld computer games for the teenagers admitted to the wards to help them pass the time in hospital, even if they were not well enough to get out of bed. Friends and family also donated toiletries to help families of children brought into hospital unexpectedly. Amy said: “Throughout all this, we heard some amazing stories from people about how Hull Royal had helped them and their children and people just wanted to give something back to the hospital. Be the first to comment on "Evie, 9, donates toys to Hull Royal in memory of friend Megan Pratt"